When your water heater goes out completely, it’s pretty obvious. Your dishes don’t get as clean, there’s no hot water in your washing machine, and, most important, your morning shower becomes a horrible experience! If your water heater just up and quits one day, it’s pretty obvious that it’s time to call your local plumber for water heater repair. But it’s not always such a catastrophic failing, and there can be signs that your water heater is about to fail. When should you give a plumbing contractor a call? Water heaters are usually placed next to a drain; this ensures that any leaks are safely disposed of, and it’s an easy way to drain the water heater during replacement. But just because the drain is there doesn’t mean that it’s normals for leaks to occur. If anything in your house is leaking, it’s probably a good idea to call a professional! Leaking can be due to a few different issues. It could be that incoming water is leaking due to an ill-fitting water pipe or a loose connection. In this case, your water heater might be fine. You’ll still want to call a plumber to take a look at what is wrong. Leaking can also occur if there’s a fracture in the tank. This can occur intermittently, as it might only leak when the metal heats up. In this case, you might need to get a new water heater. Ah, entropy. The horrible reason that everything eventually gives out. 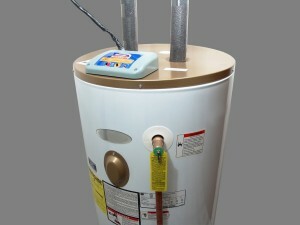 Water heaters, like every other appliance, have a finite lifespan. Most seem to last about 10 years. At that point it’s a very good idea to start watching out for the first three signs of failure on this list. With the cases above, it’s not always obvious whether you’re going to need a simple repair or a complete water heater replacement. Give a plumbing contractor a call and we can give you our professional opinion on whether a fix will be better in order to keep your old water heater around, or whether it’s time to send the old one to the recycling center and invest in a new one. Either way, we’ll talk through your options with you so that you get the best possible outcome. If you woke up to freezing water or have noticed any of the water heater problems above, contact Garvin’s and we’ll send out the best plumber around! So Where Did The Flush Toilet Come From? What is PVC, and Why Is It So Amazing?